Have you ever thought about what would happen to your social media accounts — such as Facebook — after you die? If you have, don’t worry, because Facebook has answers just for that. The world’s most widely used social media site released a new feature yesterday called ‘legacy contact’. 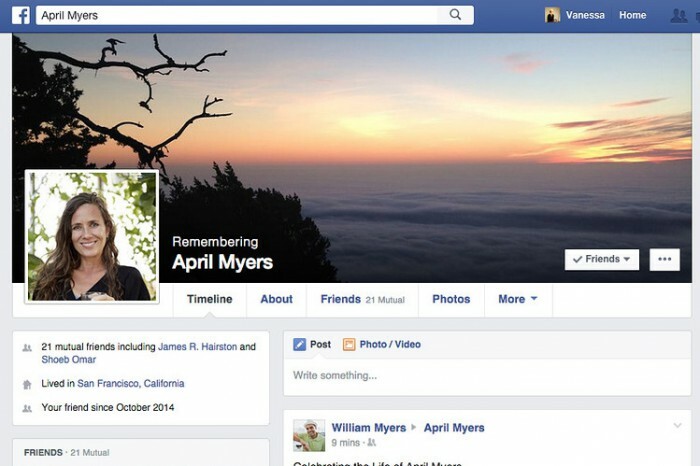 This allows every Facebook user to assign someone to manage their account after they pass away. 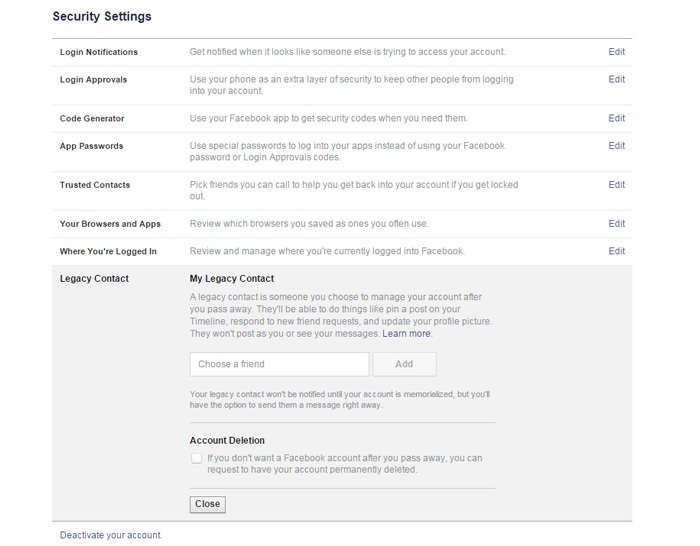 This basically means that someone of your choosing will be able to take control of your Facebook account when you’re gone, so that your account will not look “abandoned”. This is how it works: When you pass on, Facebook will ‘memorialize’ your account once someone informs it that you’ve deceased. The legacy contact will be able to create a pinned post with a final message about a memorial service, turning your Facebook page into a sort of digital gravestone. Take note, though, that you must choose wisely, because you can only select one person as your legacy contact, and there will not be a backup. To designate someone as your legacy contact, click on the upside-down triangle on the top right-hand corner of your page and find “security settings”. The legacy contact that you assign will have access to an archive of your photos, posts, and profile information, which they can download. However, this person won’t be able to log in to impersonate you or read your private messages, or delete your account. At the moment, the feature is available in the US and we are expecting that it will be available elsewhere soon. Before ‘legacy contact’ was released, Facebook accounts of deceased users were locked so that no one could log in. 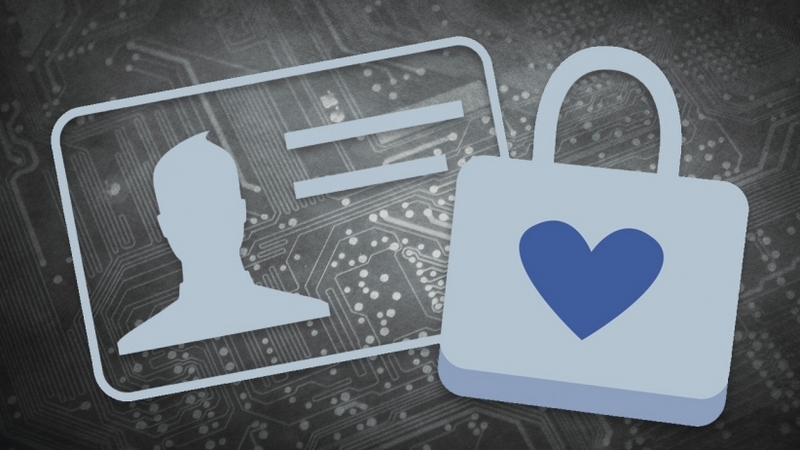 Users who wished to be ‘gone’ even in the online world, however, could choose to have their Facebook accounts deleted entirely. This development, while interesting, could be exhausting because Facebook accounts could end up becoming like real assets such as properties and cars. And while I do have close friends and family that I would trust with my life, I’m not convinced that allowing someone else to have access to (and download!) my data on Facebook will be a good idea. I also hope, for my sanity’s sake, that the digital gravestone service provided by Facebook means that I won’t be seeing the Facebook account of someone who has passed on show up as a “suggested friend”. Facebook Launches Buy & Sell Features In Groups, Should Carousell Be Worried?